I'll confess, I didn't know that the London Bridge that I've read about in my favorite British literature now resided in the USA. I assumed that London Bridge had been torn down and occupied a lowly place in some landfill over in England. 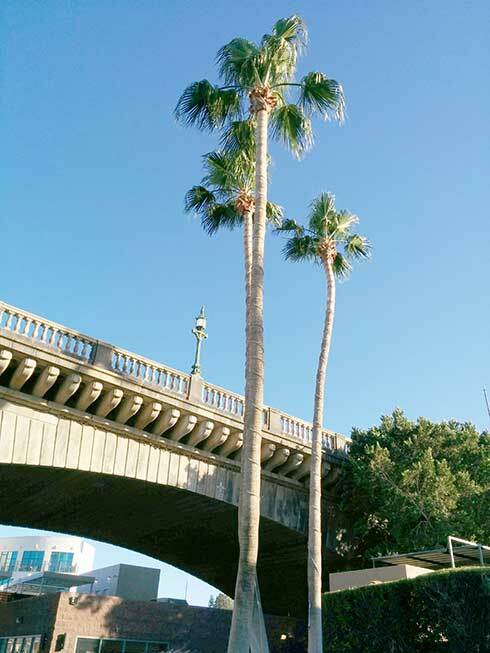 Surprise and a bit of astonishment hit me when a co-worker mentioned that London Bridge moved to Arizona back in the 1970's. In my experience, bridges don't typically relocate, and definitely don't emigrate. I immediately texted my wife and asked if she wanted to pack and take the family to Arizona after work. I doubt the original architect for London Bridge ever envisioned it surrounded by palm trees. Blogs are a wonderful way to share information in an informal, conversational manner. Even the most stuffy business can share marketing material quickly and with a minimal amount of technical knowledge using a blog. Long gone are the days of renting server space from an ISP just to create every single content-filled web page by hand or with hand modified templates. Now, blogging has opened up the web to even the most technically challenged. If you blog, or even just want a few easy-to-create web pages, the two 900-pound gorillas of the blogging world are WordPress and Blogger. With both tools you can create a place for web content for free, and associate with other content creators in your field. There are a few other big blogging platforms, such as Tumblr, but I'll stick to WordPress and Blogger for this review. Black Lagoon is a 29-episode, dark anime released from 2006 to 2011. Black Lagoon is packed with guns, gore, death, and chase scenes. And true to adult anime form, all the psycho, gun-wielding women look like they spend their off-hours working as fashion models. However, the stories and characters are well developed and worth some time. From a writer's point of view, watching the main characters develop over the three seasons of Black Lagoon gives perspective on what makes a strong story. Without the characters, this anime is a simple shoot-'em-up cartoon about smugglers. The depth of the main characters, Rock and Revy, holds the story together. Despite some of my criticisms mentioned below, I enjoyed to series and will likely watch it again if I ever find myself with some spare time and an empty watching queue. 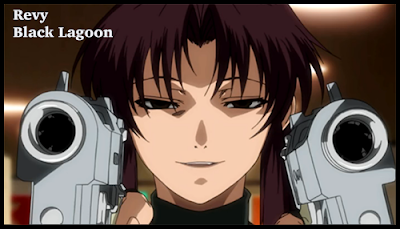 If you decide to watch Black Lagoon, you'll want to watch the subtitled version. The translations and dialog in the dubbed version come off a cutesy and trite. The only downside to watching the subtitled version is that the spoken English in the subtitled version is so bad you might need to read the subtitles to figure out what is said. One of the characters mentions that Revy is an American with a thick New York accent. You won't get that from the voice acting in the subtitled version, but it's better than the dubbed version where Revy sounds like a California valley girl. Again, if you watch Black Lagoon, watch the sub, not the dub. Copyright 2016 by T Gene Davis. Simple theme. Theme images by RBFried. Powered by Blogger.